Establishing your brand on digital channels requires a lot of the right kind of content. What’s the right kind of content? That depends on your audience. Content can be a mixture of product and safety announcements, informational posts and articles, news and trend alerts and funny anecdotes. While there are a lot of great things you can do on a branded blog (see some tips here), what can you do outside of blogging? Power Tip: Use a tool like GIMP or Canva to create custom social media images, like Facebook and Twitter covers or picture quotes. This allows you to brand images as your own while providing a visually striking post to your fans and followers, and doesn’t require a professional designer’s expertise. 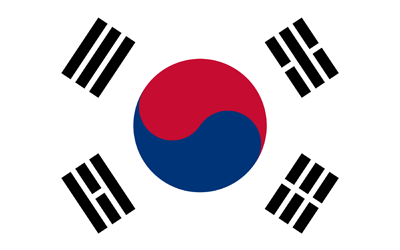 Just remember to use your own images, paid stock images or find free source images to avoid copyright issues. Become a newsreader’s best friend. Shared content doesn’t have to be all about you or what you write – in fact, the social media rule of thumb is to post 80 percent content of non-branded articles, pictures and posts and only 20 percent your own content. Add your own insights to shared articles for even more value. Power Tip: Having a digital presence allows your company to become a publisher, not just waiting for others to pick up your content. However, that doesn’t mean you have to be another New York Times. Focus on news, trends, helpful information and jokes that your customers are interested in. 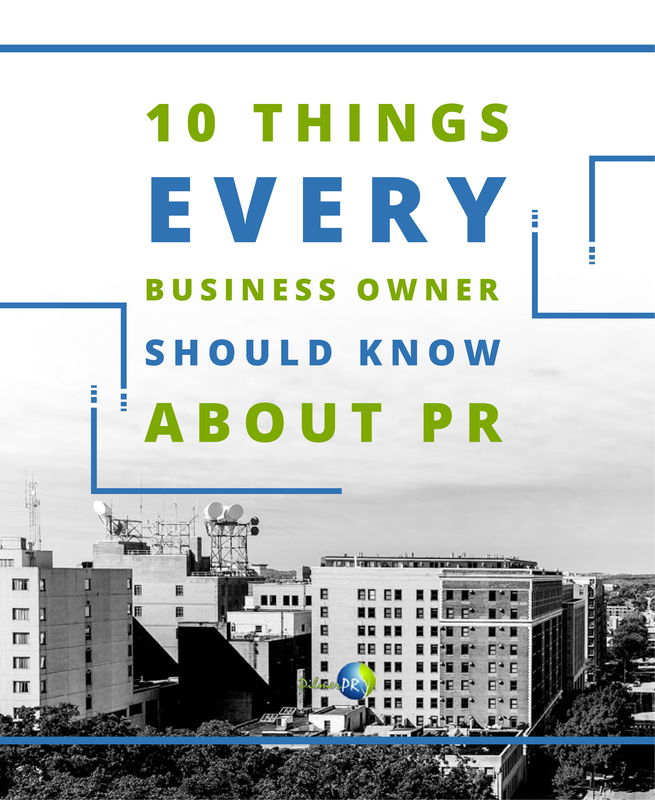 You’ll be known not only for your products/services, but also for the information you share. Flip it and Pin it. Remember #1? If your company aligns with the audiences on Pinterest or Flipboard, create a presence. Pinterest has more than 20 million active users and Flipboard has nearly 4 million active monthly users on its app. Studies have shown nearly half of all U.S. online consumers buying something based off a Pinterest recommendation, with Pinterest generating up to four times the revenue per click that Twitter can. Power Tip: Get creative with your boards and magazines with themes and titles. Boards with catchy titles and great pictures or magazines that are funny and engaging as well as informative will gain a lot bigger following from people looking to unwind as well as learn more. It’s also a great way to subtly advertise your offerings and share blog posts, brand videos or press releases. 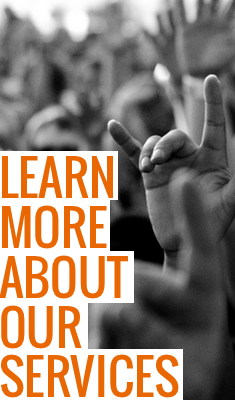 Tap into your community. Your customers digitally share content and opinions on a regular basis – asking them to share it with you can be as simple as asking a question. While you should be asking all customers you see in person to follow your company online, you can also ask them to review their experience, join a discussion or share a picture you can then feature on your profiles or site. Power Tip: Contests are a great way to get excitement behind audience sharing, and awards can be small (like offering a $5 gift card) to large (an iPad, trip, or large money prize.) Not only will your company gain exposure through the sharing of contest submissions, but you can use those submissions (like photos) for later use to showcase your fans and customers. Looking for even more content tips? 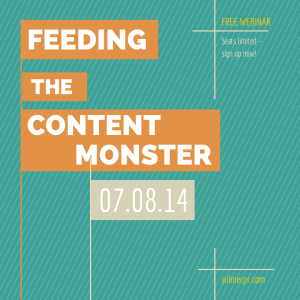 Sign up and join us on July 8th for our digital PR webinar: Feeding the Content Monster. Which of these have you used to promote your brand? Would you add any hot tips to this list?